Even for those with the best intentions, a bowl filled with beautiful, fluffy quinoa isn’t always the outcome. For anyone yet to master the art of cooking the healthy ancient grain, it’s not uncommon for the end result to be totally soggy and throughly unappetizing. An easy method changes all that, though, and you’ll wish you had known about years ago. A thread on Reddit laments having tried every technique—cooking it covered, uncovered, different water ratios, you name it—before putting out a request for help. An angel of a Redditor chimed in with a tip that’s worthy of all the upvotes. The “pasta method” gets the job done correctly every time. So, how do you cook quinoa? According to Blue Apron, just cook quinoa as you would any pasta. Bring a pot of water to a boil, add in a few pinches of salt, and the grains. Boil the quinoa for the amount of time recommended according to the package instructions, checking it a few minutes before it should be done. If you’re happy with the texture, drain the quinoa using a very fine metal mesh strainer. 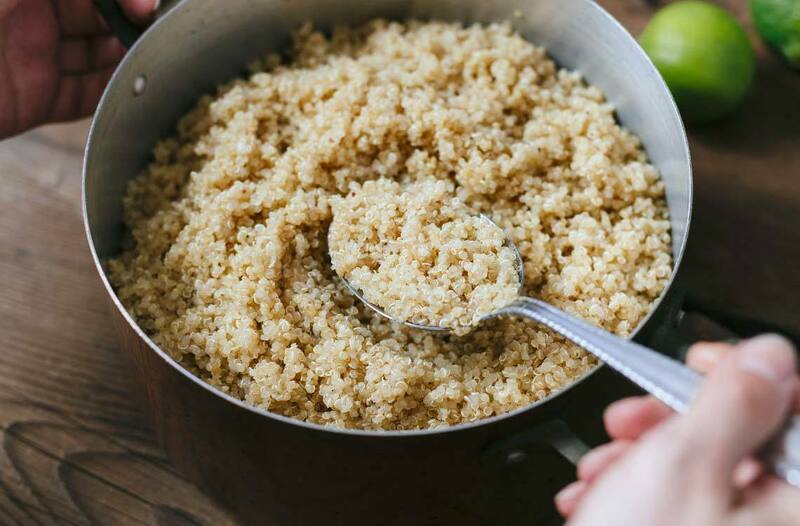 By ditching the long list of quinoa cooking tips and instead using this simple, mindless method, you’re all but guaranteed fluffy quinoa every single time. If you’re looking for more cooking tips to make your life easier, you should also know the two-step trick that makes using ginger so much easier and the easy way to make roasted veggies without any oil.